Hi lovelies! So, as you may or may not know, later this year, me and my Boyfriend Darren are finally moving into our first home together! 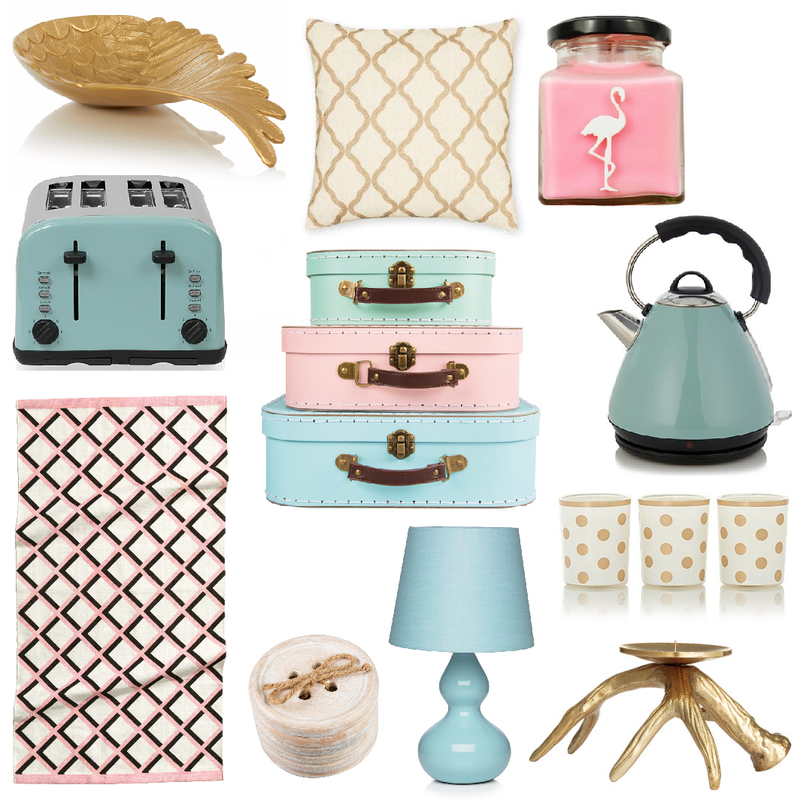 So, as you can imagine, I've been loving homeware shopping recently! Of course, when you're saving up to move out, you can't always buy all the things you may want. so I've been doing a lot of window shopping lately, drooling over pretty homeware bits and bobs (if anyone would like to donate any of these items to me, that'd be just fine *insert winking emoji here so I don't look as though I'm begging brands*). As you can see, our theme is going to be mostly pink, gold and mint (this is for the living area), while the kitchen is going to be a retro 1950s theme. I'll definitely be posting hauls and wishlists as we buy more and more things for the house and perhaps even a house tour when we're finally in! What do you think? Send me any Pinterest boards, Blog posts, videos etc. of homeware hauls/ inspo in the comments, I'll definitely be checking out every single one! Hi lovelies! 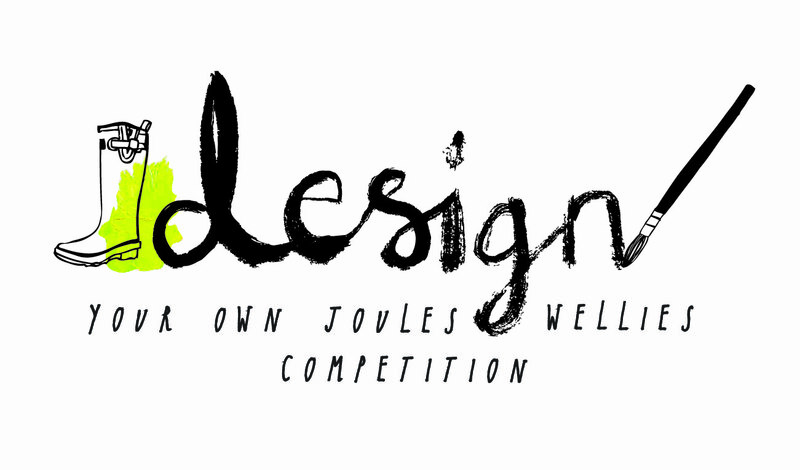 Today I just wanted to let you all know about this fab Joules competition where you will embrace your creative side to win a luxury break worth £5000! Competition Details are as follows! Win a luxury break worth £5,000, this means 3 nights in a golden oak treehouse cabin plus lots more! That's not all though, 10 lucky runners-up will each receive a £250 Joules gift card. 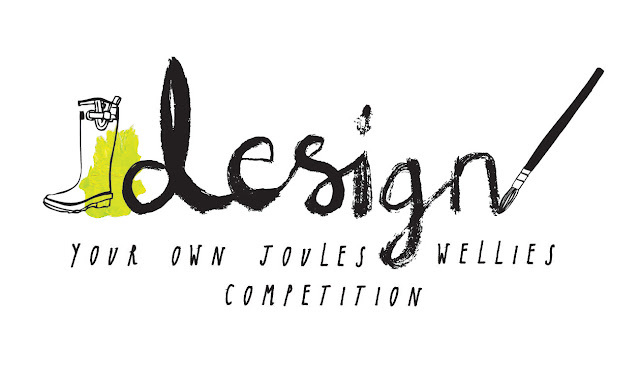 The winning welly design will go on sale at joules.com - so people will be able to buy and wear YOUR design! All proceeds from the sale of the limited edition winning welly will be donated to Joules charity partners via CHARITABLY JOULES. Hi lovelies! I thought I'd do a post on something a little different as I get a few questions about this subject on Twitter and Instagram so I thought I'd address it. So, today as you'll know from the title, I'm going to be talking about my personal experience with tattoos and piercings. Now as a quick disclaimer, I am by no means an expert, I don't have tons and tons of big tattoos and piercings all over, but I do have a few and I thought I'd give you some info on my experience, opinions and advice on those I do. If you disagree with or don't like tattoos and piercings and aren't going to be able to get through this post without making a negative comment, then maybe this isn't the post for you, however if you disagree with them but are interested in hearing my thoughts, by all means, read on! 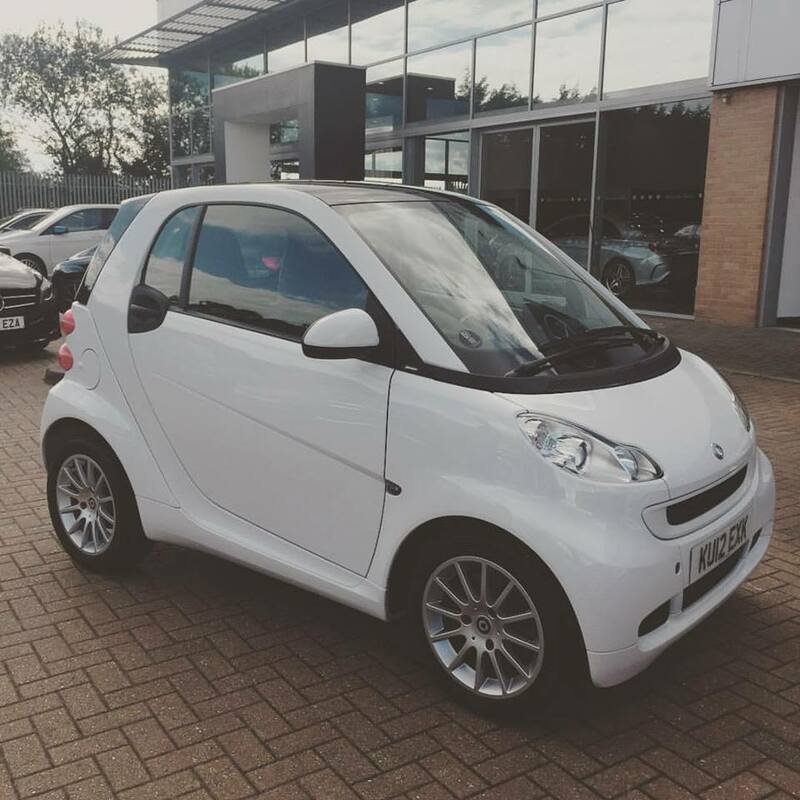 Warning, this will be a long post as I have a lot to say! So, first I'll go over piercings as I don't have very many and it'll be quick to go over! So, first up, I have my earlobes pierced twice, my first was when I was seven, so I don't remember where I got it done, but I do remember that it was done with a gun, which isn't recommended now, I'm no expert so that's something you'll need to look into if you're planning on getting a piercing. So, pain-wise, all I remember is a quick, sharp pinch as the gun pierced my ear, with a really loud snap noise which I didn't love, but again, I was seven so not the best judge. I also remember it feeling super hot afterwards, which my other piercings didn't, so that could be something to do with the gun. I won't rate the pain on this one as I can't honestly remember it very well. So my second lobe piercings were more recently, at the beginning of September to be exact! I had this done with a needle, which I found somewhat painful, this was just because it felt quite sharp, but anyone who's had ear piercings will know how quick it is, so despite the short sharp feeling when these were pierced, I'd give the overall, I'd give these about a 1.5/5 for pain while getting it done and then maybe a 2/5 for afterwards as trying to sleep on them for the first two nights was a bit irritating and I think I possibly over cleaned them with the cleaning solution as they got very dry and my lobes started peeling (totally gross, but totally my fault! ), it was fine though and cleared up quickly when I began cleaning them only once a day. I got this done at the tattoo studio where I got my first tattoo (more on that later!) which is Baby Boy in Bishop's Stortford. I had them done by a lady called Becky who was absolutely lovely, I don't have a bad word to say about the Studio or any of the staff I've dealt with. I love it there, they're reasonably priced, but not mega cheap, which I think is a good thing, as cheap tattoos and piercings are more often than not bad tattoos and piercings. These cost £20 for the two ears. Next up and also done at Baby Boy, this time by a guy called Andy, who has also done three of my tattoos, is my nose piercing. I was super scared to get this done, I actually got my second lobe piercings as a practise piercing first as I thought the nose was going to be much, much worse. Nope. I totally didn't need to worry, it felt like a teeny tiny pinch, nowhere near as sharp as the feeling when my ears were pierced. My right eye (the side it's pierced on) did water slightly but just for a second, I'd expected to leave with my mascara on my chin as people had told me they water 'sooo much! 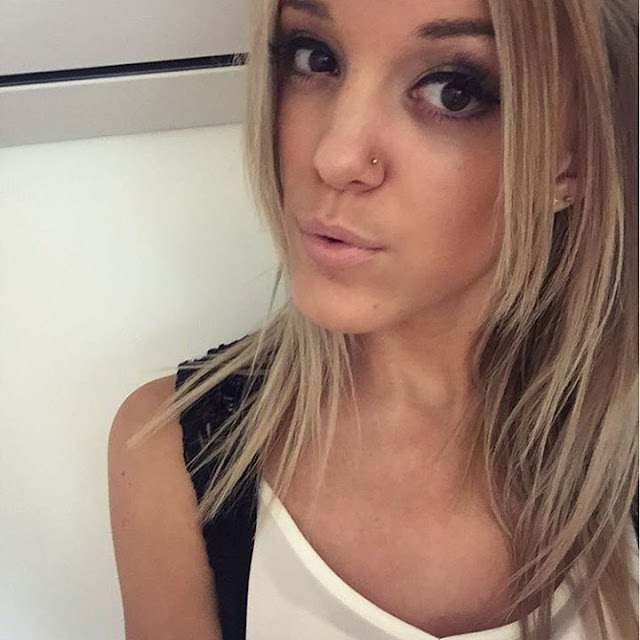 ', but not for me, Andy is an experienced piercer and apparently, my nose has a high pain tolerance, so your experience may be different, but if you're thinking of having your nose pierced, my advice is DO IT!! This cost me £30 and I'd rate the pain a 0.5/5 just for the initial pinch. This is still healing and hasn't caused me any problems, I learned from over cleaning my ears and use a cleaning solution once a day in the evening and just warm water in the morning and it's healing perfectly with no pain and no problems. 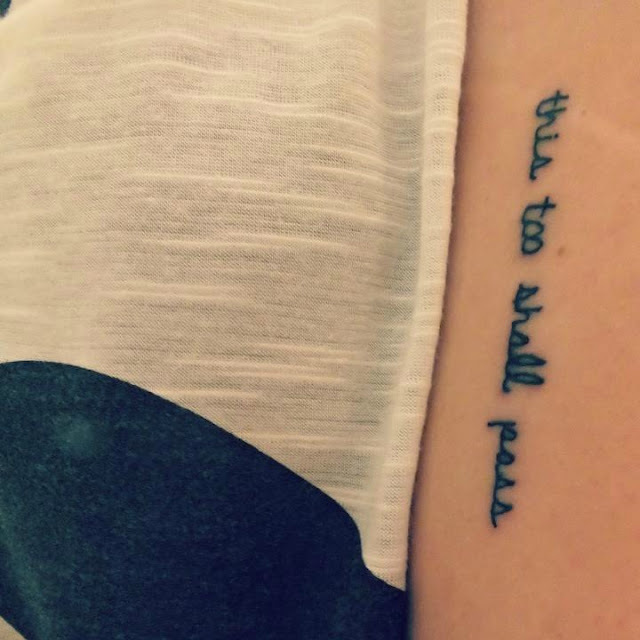 My first tattoo was also done by Andy at Baby Boy and was done just over three years ago, I wanted something very small for my first tattoo, but I wanted it very visible and with lots of meaning, so I decided on a quote 'This too shall pass' in a small font, going down my upper arm. I decided on this quote because no matter what's happening, it reminds me that everything comes to an end, good and bad, so when you're having the worst day, it well end, get through it and it will pass, when you're having a fab holiday, or great day out, remember that it too, will pass, so make the most of and enjoy every single second. This isn't a particularly painful place to get tattooed and as it was my first one I think it was a lot less painful than I expected. I'd give this about a 1.5 out of a 5, as it did feel quite sharp in places, but it only took around 3 minutes to do, so not too bad at all. Andy actually kindly did this one for me for free as it was my first and very small and I'd helped him out with something in the past for reasons I won't go into as they're personal to him, but the general charge for one this small would have been £40, this is the minimum charge to cover their time, cost and profit. Healing was a breeze as it was so tiny, I just washed this twice a day and applied a tiny amount of tattoo goo (the kind in the tin) to keep it from drying out, but to be honest, I hardly noticed the healing process on this. 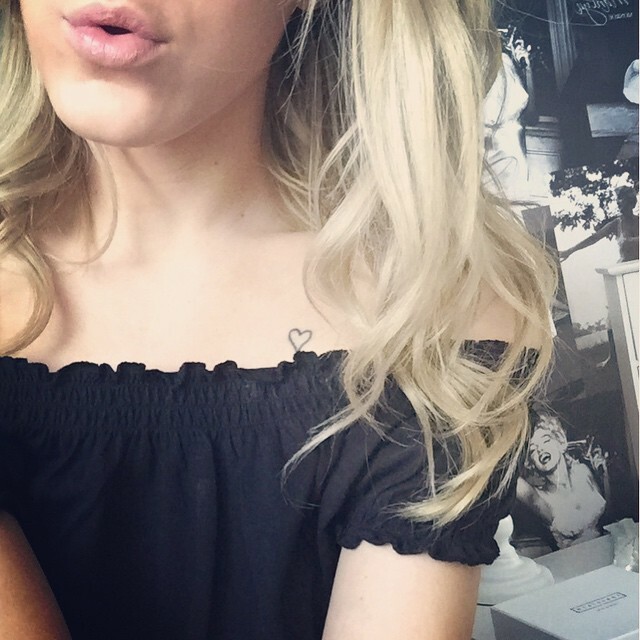 Next, in June of the following year, so 2013, I got a teeny tiny heart just below my collarbone, honestly there is literally no meaning behind this other than I think it's cute. I'd just got back from a holiday and wanted to do one more fun thing before getting back to reality. This was £40 and I'd rate the pain a 2.5/5 because while it was super quick, it's quite an awkward place to get tattooed, as you're breathing and constantly moving your chest up and down. To be honest, I forget that this one is even there half the time, but I do like it and think it's cute! 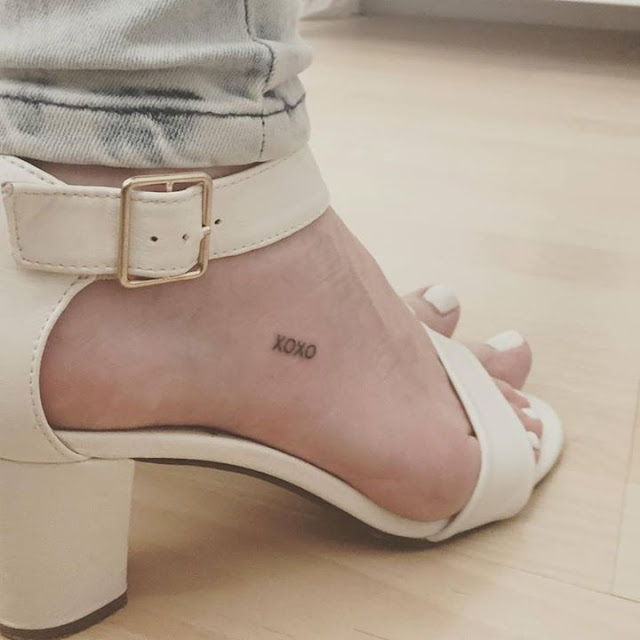 My third tattoo is a little 'xoxo' on my foot, while this is yet another tiny tatt, I absolutely adore this one, I think the size and placement are both perfect as you can see it in both heels and flats. This, as many of you will already know is from Gossip Girl, I actually got this for my twin sister, as we always used to (and sometime still do) sign our messages to one another with 'xoxo', it symbolises how we keep in contact and stay close now that she lives away from home in Canterbury. I thought it was a more subtle tribute to us being twins as each 'xo' can represent one of us, but it's not a straight up sisters or twins tattoo - which I have no problem with, it's just not for me! I'd rate this a 2/5 pain wise as it was so quick, but it did feel quite sharp, as there's literally no fat on the foot, so I'm not sure how I'd cope having a big tattoo on my foot! Both of these were also by Andy at Baby Boy and took around 2-3 minutes each. Healing on both of these was exactly the same as my arm tattoo. My fourth and biggest tattoo was done a few weeks ago at the end of August by a guy called Chris, who with his wife owns Hughes Tattoos in Sawbridgeworth, Hertfordshire. I ended up going to Chris for this one as my boyfriend has had most of his tattoos by Chris, and when he decided to book another, I thought I'd go along too for mine so we could go together. 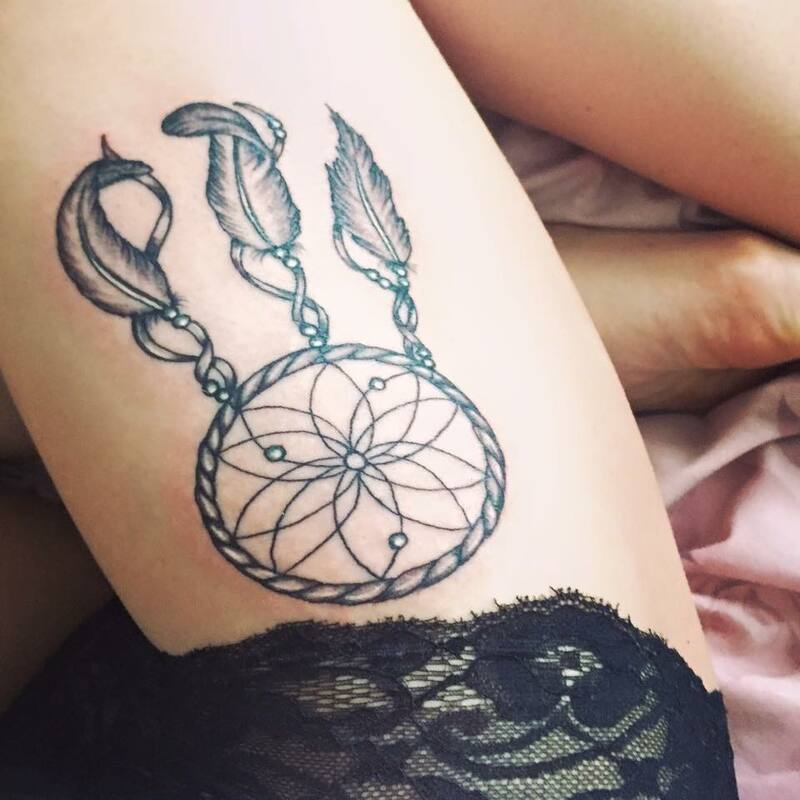 I took inspiration from a few different dream catchers I'd seen online and drew this up and sent it over before my appointment and Chris made it into a stencil ready for when we got there. I was really nervous for this one, as obviously I'd only ever had teeny tiny tattoos before that took no longer than a couple of minutes, so I wasn't sure how I'd handle being tattooed for more than an hour. Well, I was definitely in for a surprise with this one. 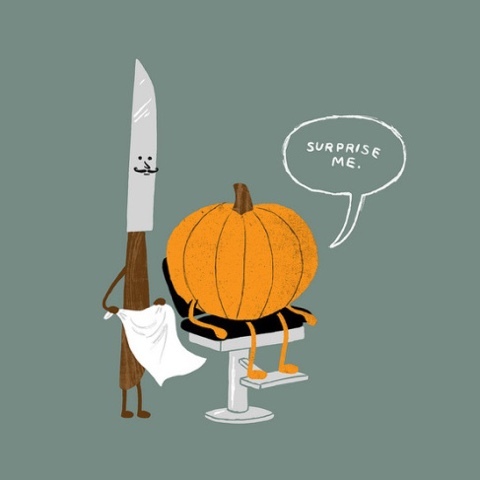 Chris told me it would feel sharp to begin with, then I should be okay. It was a breeze! I'd genuinely rate this a 0/5 for pain and I can only compare the feeling to someone drawing on me quite hard with a sharp pencil, it certainly didn't feel like a needle ripping through my skin. At the end, he added some white highlights, which I'd heard sometimes hurt more than regular ink, but in this case they didn't at all and I was actually kind of disappointed when it was over as I was actually enjoying the experience! I'm absolutely thrilled with the outcome of this tattoo and it healed beautifully with no problems at all. 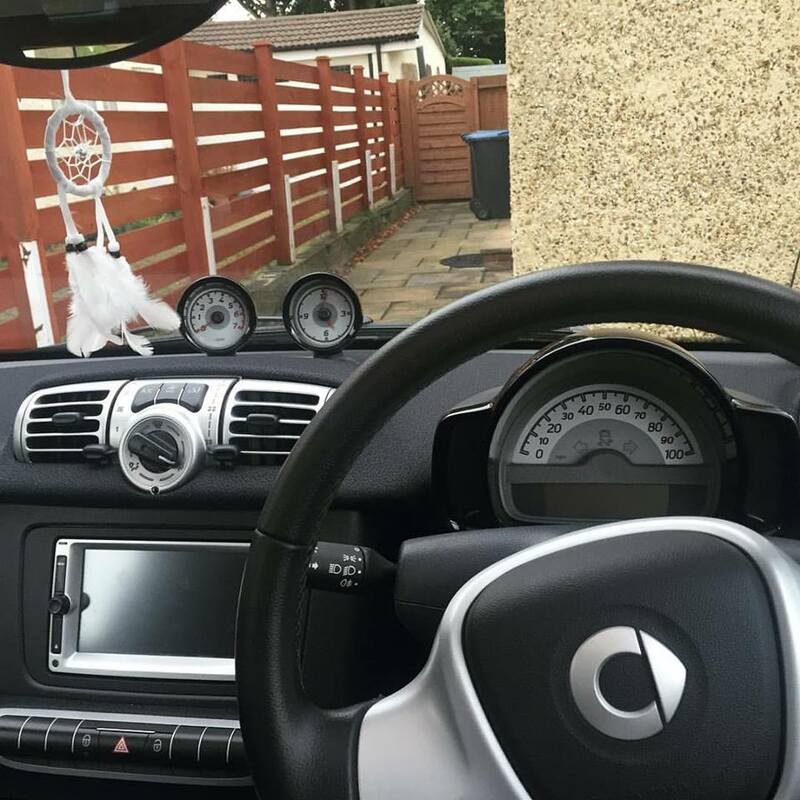 I simply washed it 3 times a day and moisturised with tattoo goo lotion to keep it from scabbing up. It took around 2.5 weeks to heal and I'd rate the healing process a 1/5 for pain as while it didn't hurt too bad (soreness on the first day), it itched like crazy a few days later which is normal, but very annoying! 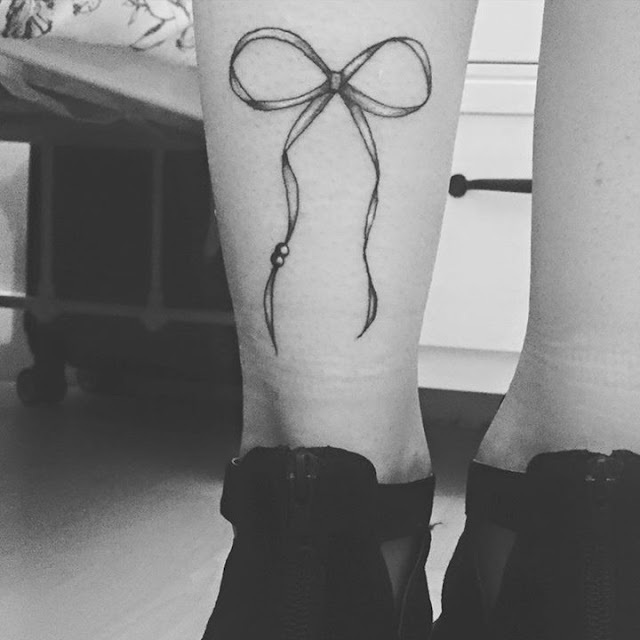 My fifth and final tattoo (for now), is a bow on the back of my ankle, I'll start by saying this has no meaning, I just love the way it looks. However I did want it to tie in with my dreamcatcher, so I drew the ribbon in the same style as the ones on the dreamcatcher. I don't think tattoos necessarily need to have a meaning, because if you've thought about it for a long time and you love it, it becomes a part of you and unless they're badly done, I think that's impossible to regret! For this, I'd rate it a 1.5/5 for pain, because in parts it felt a little sharp, particularly nearer the bone and closer to the bottom of the ankle, but it was more sharp and irritating than actually painful. Some people told me this would be a really painful area, but Chris said as I'd drawn the bow to mostly go around and not on the ankle bone, I was kind of cheating the worst areas, so it wasn't too bad at all. This cost £70, which is the hourly rate and took just over an hour including set up time. It was probably no more than 40 minutes actually tattooing for this one. I only had this done less than a week ago, so it's still in the healing process (currently at the itchy as f*** stage!!) but it seems to be healing the same as all the others! Obviously, if you've never been tattooed or pierced before, take everything is say with a pinch of salt, as my experience will be different to yours. Some people will find them much more painful than me and others much less, for example, one of my friends looked at me like I was mad when I said I found the ear piercing way worse than the nose, so you never know! I do also think I have quite a high pain tolerance for this kind of pain. Sometimes certain types of pain affect people in different ways, so those who can sit through hours of tattooing may find an eyebrow wax unbearable (aka my boyfriend!). So, if you're thinking about it, think it through, do your research and find an artist and shop that you are 100% happy and comfortable with. If you're in the Herts/ Essex area and fancy a tattoo or piercing, I'd recommend either of the Studios or Artists I've been to, as they're absolutely fab, friendly and reputable, which is hugely important when getting pierced or tattooed. Tattoos are permanent and you definitely want to make sure you're going to someone who knows their stuff. Piercings, while not necessarily permanent can easily become infected if not done properly in a hygienic, professional environment. So, choose wisely! Feel free to discuss your thoughts and opinions in the comments, I'm more than happy to hear your views whatever your opinion on tattoos and piercings are, but keep it friendly guys! I understand that everyone has their opinion and when you get tattoos and piercings I do believe that this is something you have to accept and acknowledge, as not everyone agrees on these things, however it is not your right to tell someone they're wrong for making a decision on their body, so fire away with the opinions, but no nastiness allowed! There is something magical about winter weddings. Perhaps it’s the soft blanket of snow, the twinkling lights of the Christmas tree, lower prices across the board, greater availability of wedding venues or maybe it’s the fact that bridal parties can wear some pretty shrugs that totally add to the whole winter-themed celebration. 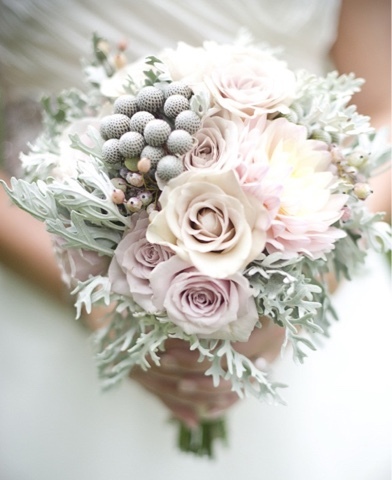 Whatever it is, there is definitely something special about tying the knot during the colder months of the year. 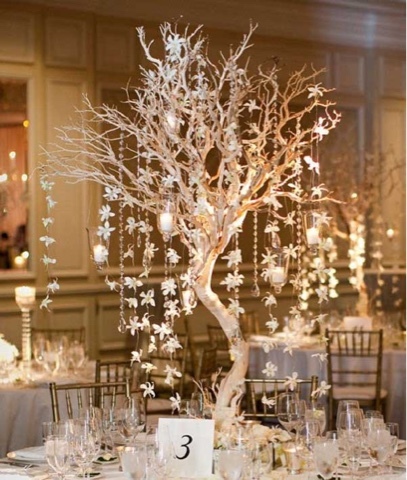 However beautiful a setting it is, winter brides have to overcome a lot of challenges that summer brides don’t have to entertain. On that note, let’s uncover some essential fashion and beauty tips for the winter bride. 1. To achieve the ultimate seasonal look, it’s important to embrace everything about winter by incorporating autumnal shades like berry and gold in your look. Combining a copper eye shadow with dark eye-liner and a rich berry lipstick is a winning look. 2. Most winter looks have one thing in common and that’s the emphasis they place on the eyes. The dramatic smoky look using browns, gold, and black is timeless and will always lend itself well to a winter wedding. 3. The cold weather can, and probably will, wreck havoc on your hair. Your stylist should be able to tame your frizz on the day but you can do your part by prepping your hair before the big day by treating it with serum, oils and leave-in conditioners. 4. To tan or not to tan? Most winter brides prefer to steer clear of the fake stuff by choosing to embrace their bold features and impeccable, natural skin tone instead. If the thought of doing this instills fear into your bones, be sure to get a professional job done to ensure you look flawless and not too sun-kissed on the day. 5. Whether you’ve chosen to get married in one of Cheshire wedding venues or a small chapel in the countryside, wedding day nerves and a drop in temperature can leave your skin looking dull and feeling drab. Ensure that your skin glows on your special day by practising a thorough skin care routine in the run up to your big day. For added glow, a highlighter will add instant luminosity to your skin so it’s a beauty essential. 1. When searching for your dream dress, remember that while it will definitely be cold outside, chances are that your wedding venue will be warm and toasty. This variation in temperatures calls for removable layers such as a silk cape or a soft fur shrug. 2. While the thought of wearing peep-toe showstoppers or pretty corked wedges might sound appealing, choosing footwear that’s weather-appropriate is vital in winter. Teaming your dress with a kitten-heeled court shoe is a much more sensible option and one that your feet will certainly thank you for on the day. 3. A lot of brides think that a full-length gown is the only style that works in winter. This couldn’t be further from the truth. In fact, as long as they choose the right style of dress, winter brides can rock everything from a mid-length pencil skirt ensemble to a short and funky A-lined 50’s inspired dress so don’t let the season limit your options. 4. Do add sparkle to your outfit, but in a tasteful way! Anything that glitters or shines will certainly add to your wintery-inspired look so don’t be afraid to dabble with a jewelled neckline, a crystal headpiece or a sequinned shawl. 5. Don’t think that your wedding look should follow trend, as winter is the most perfect time of the year to be daring and dress according to your own personal style and preferences.